A while ago it occurred to me that maybe everyone is overthinking this whole gopro mount thing. What if you were to utilize the factory mounting system since it's already a hinge? 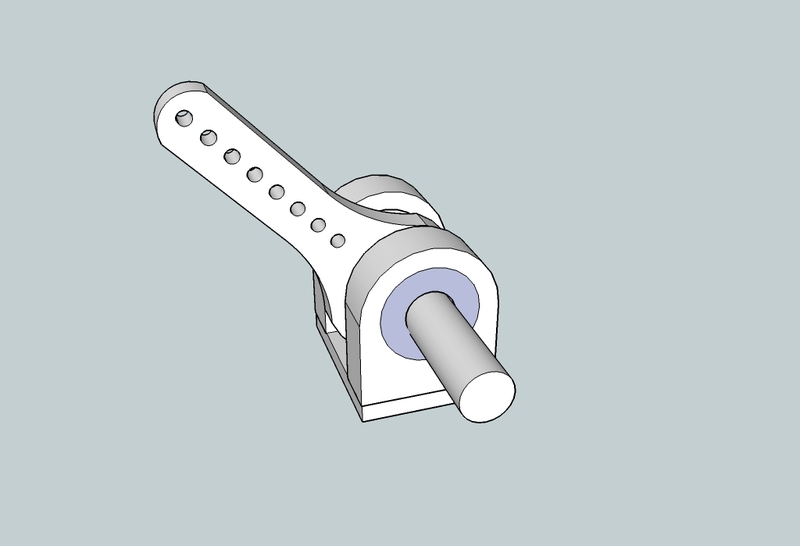 I finally got around to drawing something up in sketchup and was wanting some feedback. 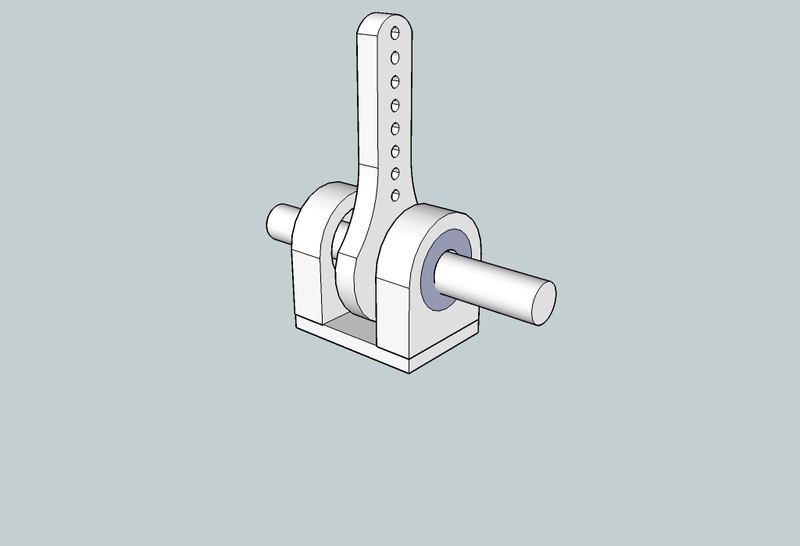 There would be a thrust bearing on either side to allow for movement and the middle piece doubles as a control horn and would theoretically be wedged in. Think it will work? I think this will need a little trial and error, Anyone want to donate a 3d printer? lol By the way, if anyone knows how to get ahold of thrust bearings for a decent price, let me know. All the places I'm looking at are about $10/piece plus shipping.